As a child, it was drilled into me by both my parents. Mom always said, “your word is your bond.” And Dad spoke of the “gentleman’s handshake” explaining that once two people agreed on something, it was written in stone. Over the years, I tried to follow their cue, but now and then darted from their honorable path. Each time, I betrayed a secret, spoke out of turn, or told a lie, the consequences coupled with my screaming conscience would reel me back to the straight and narrow. My grandmother’s advice was always, “If you can’t say something nice, say nothing at all.” Of course, as a child, teen and young adult–words emerged from my lips that were unkind and definitely not pleasing to Grandma, or to a God whom I was learning to love. Perhaps it was from mistruths spoken of me or being on the sharp end of the gossip stick, I learned to measure my words, take time to respond, and weigh carefully the news I heard spoken of others. So, recently when a dear friend was himself the victim of wild accusations hurled at him from decades before, I felt my insides begin to swell and a new anger and resolve bubble like a pressure cooker. I am helpless! Seeing him in this much pain, crucified by the very ones he trusted and held in high regard is beginning to erode my heart into utter rawness. How can a highly regarded, holy man be cut off from society and ignored by those closest to him? When someone falsely accuses, lies, gossips, or assumes the negative, the evil is propagated so far that it would be as if someone sliced open a down-filled pillow allowing the contents to spill from the top of a mountain–swirling amongst the current, and dropping like seeds around the globe. The words, effects and harm take root and maim more than just the incriminated. On the outside, we might watch the erosion occurring, or perhaps entertain it for a bit–but deep down we realize we are wrong. What we don’t comprehend until it is too late, is the harm that is being done. We are not just destroying one soul, but all those associated with that person, and our society as a whole. Like a cancer, the infection spreads far and wide, hurting the body little by little until the cancer wins. If I have learned anything in my nearly 53 years on this earth, it is to tell the truth, keep my word, and stand up for what is right, no matter the temptations to do otherwise. This Lent has been painful in so many ways–for the injustice, for the lack of support, for the lies, and the disappointment in others for their inability to stand up and make the proper decisions. The only way I can relate to this suffering is to compare him to Jesus in the Garden of Gethsemane and his utter abandonment and loneliness in knowing He had to face the cross alone. In time, the truth will surface, the resurrection will occur, but the pain of each nail piercing the hands and feet, the sword driven into the flesh, and the thorns ripping the scalp are all so coarse and ugly. It amazes me, what evil we human beings, created in the Image of God can accomplish. While I am physically helpless I pray to the One who can help each day for the truth to surface, but until then, offer my support in any way possible. Perhaps this Lent we can all try not to believe every news report, every hushed conversation, every accusation or thread of gossip. Perhaps we can try to see beyond the titillation and intrigue, and settle for looking with eyes of compassion and love. Perhaps we can try to see with the eyes and heart of Jesus and know that He died for all of us and to demonstrate the compassion of Christ towards each other without making judgement. 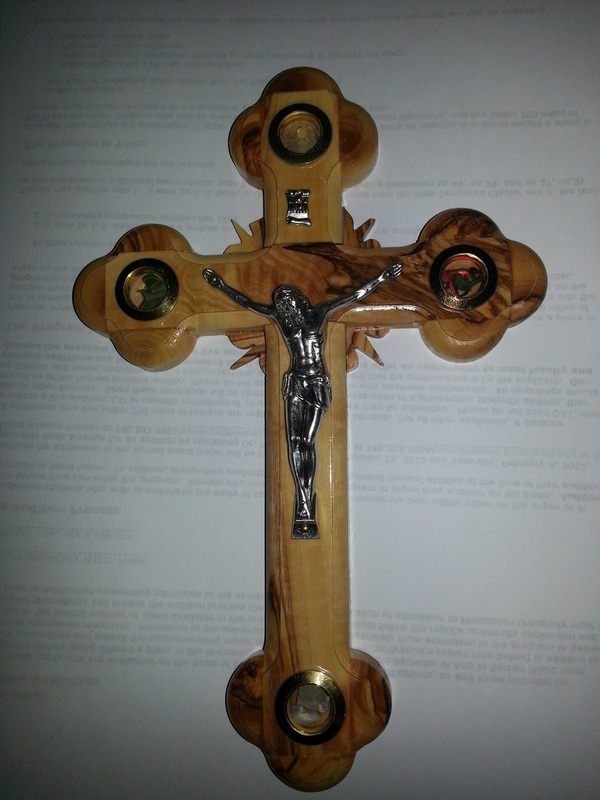 This entry was posted in crucifixion, falsely accused, gossip, Jesus, Lent, lies, suffering. Bookmark the permalink.